Firm founder Joe Stampone and head of the Business Services Group Fred Stampone have more in common than simply being brothers. The two both have an affection for dogs, particularly Doberman Pinschers. In the late 1800′s in, the town of Apolda, Germany, Louis Dobermann served in the dangerous role of the local tax collector. Louis also ran the Apolda dog pound; with access to many dogs he set out to breed a new type of dog that, in his opinion, would be the perfect combination of strength, loyalty, intelligence and ferocity that would be ideal for protecting him during his tax collections. 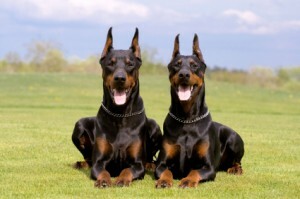 Today, Dobermans are often portrayed as ferocious guard dogs. 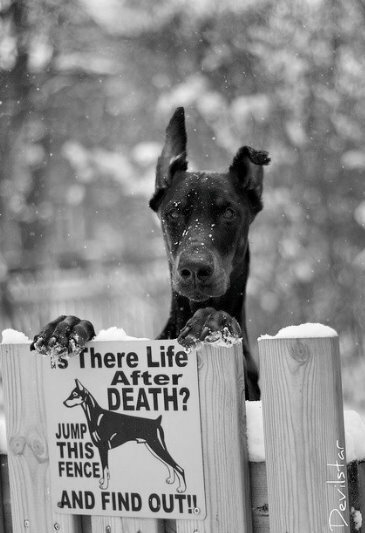 However, as much as they are powerful and athletic, so too are they loyal, friendly and docile. Similarly, attorneys are often portrayed in a bad light. However, like the Doberman, my sense of loyalty to my clients and my aggressive yet intelligent approach to representation will insure the taxes get collected. This section will be a disarming and entertaining approach to a misunderstood and poorly portrayed breed, much like attorneys.